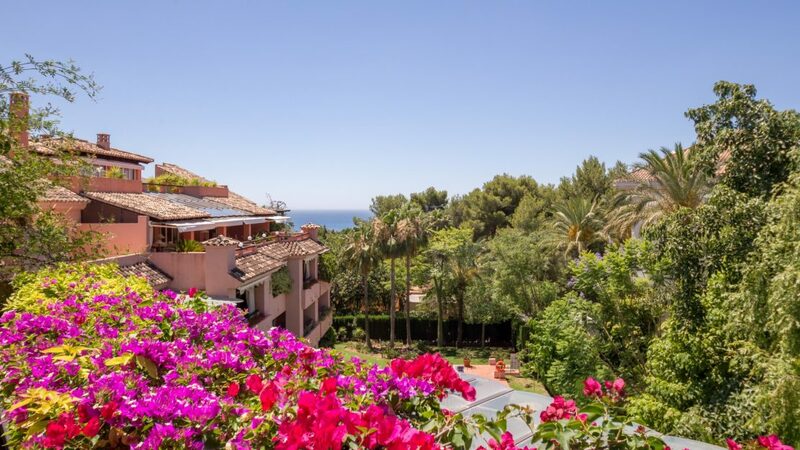 Exceptional residence set in the beautiful yet tranquil gated community of Los Picos de Nagüeles, which is located adjacent to Sierra Blanca on the Marbella Golden Mile, a short distance to Marbella center and Puerto Banús. Exquisitely decorated by Gunni and Pedro Peña throughout, the main floor has a spectacular entrance hall leading into an open-plan lounge and dining room, plus a TV room, with direct access to spacious, South-facing terraces and overlooking the manicured gardens and heated pool. An open plan, fully fitted Gunni Trentino kitchen leads to the outdoor dining and barbecue area. Two large bedrooms en-suite complete the ground floor. The upper floor consists of a grand master suite, with walk-in dressing room and a designer bathroom. The bedrooms on this floor both lead onto the large covered terrace which has spectacular views over the garden towards the sea. The lower floor consists of a cinema room, large garage with space for 4 cars, gym, apartment for the staff, an office and 3 bedrooms en-suite. Gated, prestigious and luxurious, this villa offers security and opulence to the highest standards throughout. Price reduced from €6.5M. to €5.995.000. 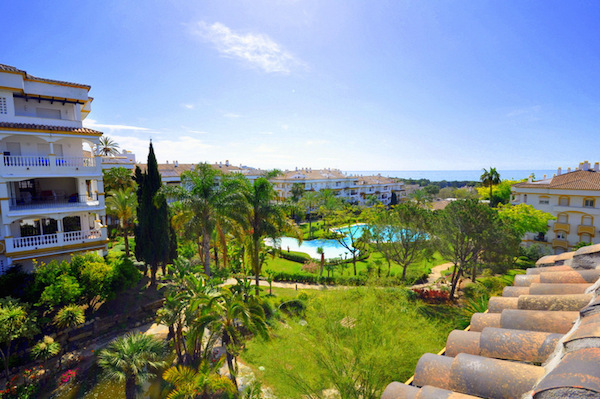 Please, send me more information about ref W-02BZRE, Villa in Nagüeles, Marbella Golden Mile or similar properties.